Although Spring gets all the hype as the perfect time for cleaning, whenever seasons change it’s a good idea to do a big house cleaning. A major cleaning twice a year keeps your home clutter free, and gets the house ready for a new season. Colder weather means more time indoors. Start your big Fall clean by rearranging the home in a comfy way for winter. It’s time to break out comfy blankets and throw rugs that you’ve had stored all summer. Any thick fabric that’s been stored away for a season might smell stuffy, so make sure you wash blankets, and hang throw rugs outside where they can air out. This is also a good time of year to send area rugs to get cleaned. Pollen, sand, dirt and other outdoor entities get build up inside the house all summer long. If anyone in your family suffers from allergies, getting your furniture and carpets cleaned goes a long way in relieving allergy symptoms. While you reorganize your closets, replacing summer dresses with sweaters and light sheets with heavier flannels, take a look and see what you can get rid of. As the years roll by we tend to accumulate clothing we don’t wear, and more sheets and blankets than we know what to do with. Set aside anything that you don’t use or need for donation. Then you can get rid of some of the clutter while helping others in need. Check both medicines and foods for expiration dates. It’s time to throw away anything that went out of date, and evaluate if you need to buy a new one. If your head ache pill expired you might want to replace them, however if you have a jar of pesto from 2009 still in your refrigerator it’s best to accept that you’re just not a pesto person. 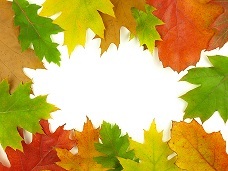 Taking the time for a thorough fall cleaning will clear out clutter and get your house ready for winter. Cleaning isn’t only for Spring anymore.